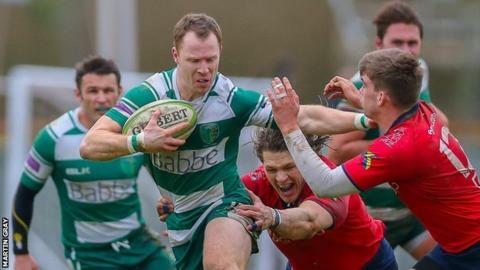 Guernsey Raiders recovered from a 17-point deficit to win 26-25 and inflict a first home defeat of the season on promotion-chasing Westcombe Park. Adam Nixon and Glen Walters scored converted tries before half-time to get the islanders back into the game. And Malcolm Barnes and replacement Matt Armstrong crossed in the last 10 minutes for Raiders, with Owen Thomas converting the second to seal the win. The result left the Channel Islanders sixth in National Three London.